Our revolutionary Puller is not just an innovative piece of equipment, it introduces a completely new method of stringing. By eliminating the P-line step and separating the rope from the puller, you’ll get more conductor up in a shorter amount of time. In underground applications, our constant speed, constant tension design provides smooth, even pulls that are unrestricted in length. 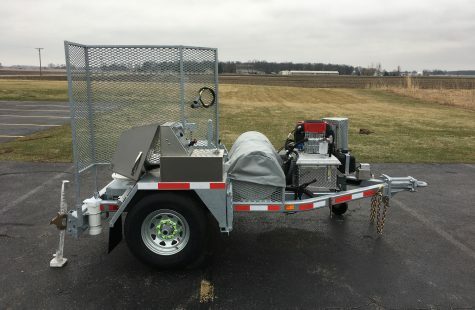 This unit is available in trailer, skid, or platform-mounted versions.